Finished Jan 2018. Final score: 3 / 5. The news was constantly talking about this book. I was somewhat interested in it, so I jumped on it before the news could "spoil" it. The news said the book stated Ivanka wanted to be the first president and that Trump did not actually want to be president. There is nothing in this book that we did not already know. This was quite a scathing summary / review of Trump's first 300 days in office. What surprised me is the prolonged access this author had to all the major players within the Whitehouse. Is this normal? Also, what surprises me too is that the author basically burned any bridge he may have back to the Whitehouse if he wishes to return, at least with this administration. The most impressive thing about this book is how recent all the events occured. This must have a been an incredible rush to turn this manuscript into print. My experience at writing a book suggests quite a long lead time before the book hits the shelves. While my book took months to hit the shelves, this timeline must have been measured in weeks, if not days. The fact that I am discussing logistics of the book itself and not the content inside tells you all you need to know. Though an interesting summary of the past year from a closer perspective of inside the Whitehouse, I do not feel like I learned anything new. The handful of interesting was already spoiled by the news. Well, there was one little tidbit. I thought the event was too recent, but it did make in to the book: Trump's visit to my hometown, Huntsville. I thought it felt strange that the president bother to come here and stump for a state primary for a special election. According to the book, Trump's advisors thought it was a strange idea too. 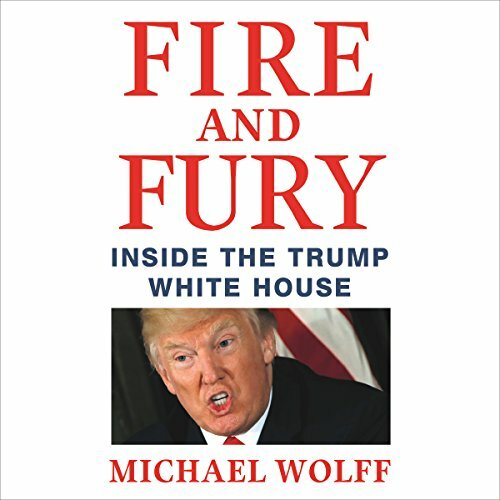 Discuss Fire and Fury in the forums.